Abu Dhabi is deficient of free zones as compared to Dubai. But that doesn’t mean by any way that it is any way short of the quality of free zones available in Dubai. Abu Dhabi provides all the important facilities that are required by free zones of various types. It is the reason that many local and international companies are taking keen interest in choosing Abu Dhabi as their hub in UAE. The reason is that Abu Dhabi is increasing number of free zones slowly but providing same types or even better facilities that are available in different free zones in Dubai. As Abu Dhabi (and also other emirates of UAE) is now adopting new economic policy, so it is expected that the number of free zones in Abu Dhabi will increase in coming years. Currently, there are less than 10 free zones in Abu Dhabi as compared to around 30 in Dubai. But we are expecting that this gap will get closer as the time progresses. One of the most famous and prominent free zones in Abu Dhabi is ADGM (Abu Dhabi Global Market). This special free zone is dedicated to financial activities and is known as a financial center for local, regional and international companies. The aim of this dedicated free zone is to contribute in the diversification of economy in Abu Dhabi and to become a regional leader in business and finance. For this purpose, ADGM provides world class facilities and modern infrastructure to financial institutes. ADGM is located at Al Maryah Island. This free zone is completely occupying the island. 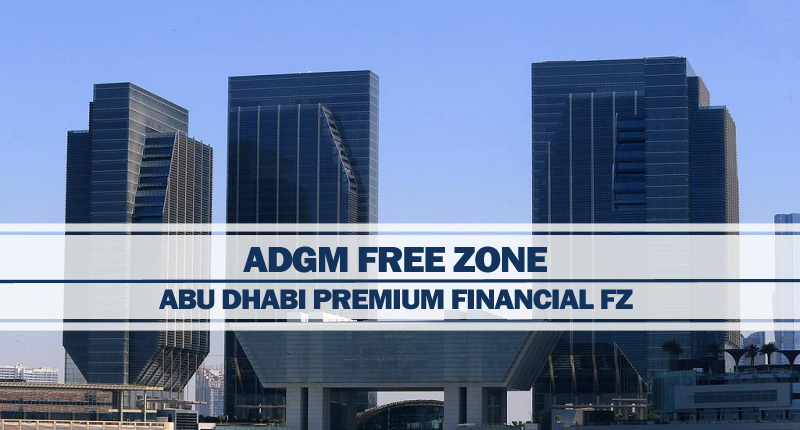 Due to various facilities and other important steps, many local and international financial institutes are choosing ADGM for their presence in Abu Dhabi. You can easily get registration and start your company in ADGM. For this purpose, you only have to consult Riz & Mona Consultancy via our WhatsApp # 971-56-9971225 or email address [email protected] After that, we will do complete work for you to register your company in ADGM.